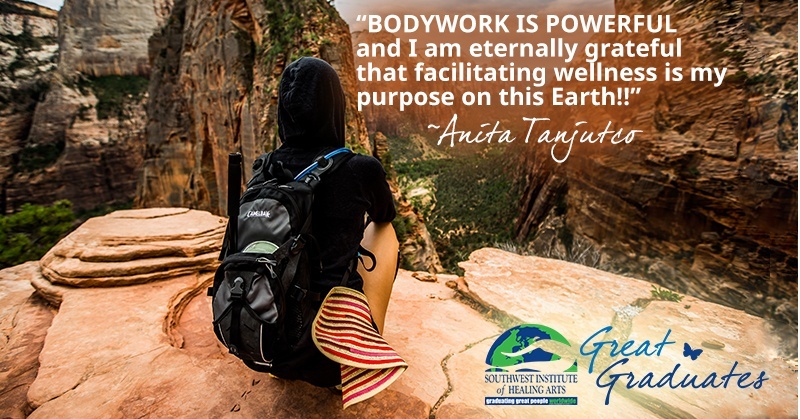 Prior to attending the Southwest Institute of Healing Arts (SWIHA), Trinity Songha was a certified 200 hour yoga teacher from Seattle, WA. When she moved to Arizona in August of 2011, she decided that she would further her training in yoga teaching by enrolling in the 800 hour yoga program at SWIHA and she is very grateful that she did. 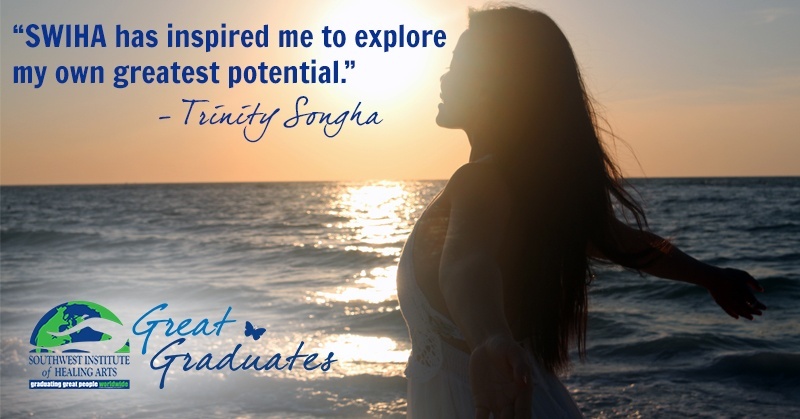 Trinity went on to graduate from 2 major programs at SWIHA. She completed the Yoga 800 hour program in May of 2012, and several months after graduating, she re-enrolled in the 1000 hour master massage program and completed it in April of 2013. During her time at SWIHA, Trinity felt that she had many favorite classes. Few of which were Myotherapy, Aromatherapy - 5 Element Acupressure for Emotional Healing and Transformational Life Coaching. She liked Myotherapy because it was one of her favorite modalities to give and receive, and she liked the other two because they were transformative – both personally and professionally. One of her most favorite teachers was Pam. She had her for Anatomy and she made the class both fun and educational. Awakening the Mind & Body: Dream It, Imagine It, BE It! Anita Tanjutco was working for UPS’s pre-load shift, and she had 100%-free health benefits. One day she decided to take advantage of her benefits, so she found a chiropractor for routine maintenance. Her massage therapist was a graduate of Southwest Institute of Healing Arts (SWIHA). They became friendly and would always chat during their treatments and one day the massage therapist said, “You would love SWIHA! I think you should check it out!” Anita was twenty-three at the time and not exactly sure which direction she was heading in her life and career. Actually, she had toured another Valley massage school a few years before, however it didn’t feel like the right place or the right time. She decided she was open to suggestions, especially since this topic was coming up again for her. A week after this SWIHA chat with her MT, she called the school and set up a time for her to tour of the campus. The moment she arrived on campus, she fell in love, and she knew she was exactly where she needed to be! This felt right: when the timing is right, you just know. So she enrolled in the next available Master Massage Practitioner program.